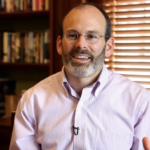 Judson Brewer MD PhD, is a thought leader in the field of habit change and the “science of self-mastery,” combining over 20 years of personal experience with mindfulness training with his scientific research. His TED talk “A simple way to break a bad habit” has been viewed over 10 million times. 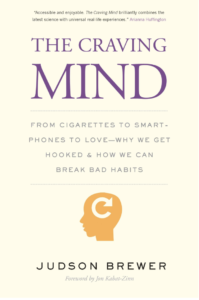 And his book, “The Craving Mind: From Cigarettes to Smartphones to Love — Why We Get Hooked and How We Can Break Bad Habits,” explores how habits form, why they’re so hard to overcome, and the research that gives us hope they can be changed. It’s likely that the majority of us do not reinforce habits that lead away from stress. Once we learn how to use our stress compass – which we’ll talk about later in the show – we may realize that we are actually looking for happiness in all the wrong places. Dr. Brewer helps steer us back in the right direction.